Does cloud computing have weather? How we guffawed a mist of flat white coffee onto our iPads when a survey said that half of Americans think that stormy weather affects cloud computing . But they were right. The infrastructure running cloud computing both suffers and generates its own weather. Facebook kept servers heated so that clouds of water wouldn’t condense on them as they were brought across the humidity gradient from truck to a new cold-air server farm inside the Arctic Circle . Data centres have long been air conditioned, climate-controlled and Halon-protected caves, and recently water cooling is making a come back  - rivers irritating server farms, carrying their heat safely away. Fire control is provided by gaseous suppression systems, whose alien atmospheres drive the oxygen from a burning room, or by water mist systems (with meteorological names like AquaFog)  which smother fire in a cooling mist. 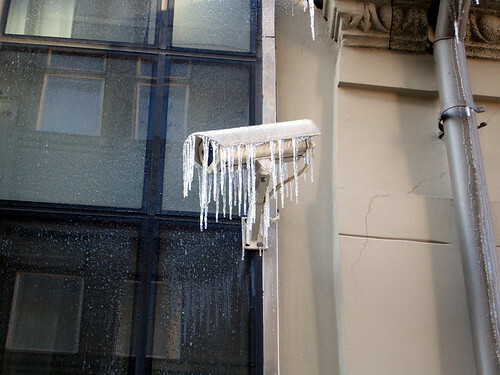 There is weather, too, beyond the physical infrastructure. Our “likes” and “favourites” are small prayers to the social network gods to keep safe the photos, spreadsheets and status updates we entrust to their cloudy crypts. (Not all precipitation makes it back to the ground: virga is rain that evaporates (or hail that sublimes) before reaching the ground  - the observable spinning bar that never results in a file being displayed on our screens. Our status updates may not suffice as offerings: if we didn’t pay for the cloud service, we’re making a wish.) Service uptime websites are the weather charts . A database fails, creating a ripple of low data pressure. The “cloud” in cloud computing probably condensed from a million cartoon rain clouds drawn in documents and on white boards that represented the communications and computer networks you used but didn’t have to worry about. These drawn clouds lent us the cloud computing metaphor - the utility service or infrastructure that’s at arm’s length, yet ever-present, just there, like the weather. Microsoft explicitly acknowledged the weather in its Hailstorm idea in 2001 (services that “exist in the “cloud” of computers that make up the Internet”) . Google directly added “cloud” to utility computing in 2006 (“we call it cloud computing”) , and Amazon put it in a funky product name, Elastic Cloud Compute, the same month . Later, the cloud metaphor would be criticised for not naturally evoking the qualities we want networked services to have (predictability, reliability, clarity, persistence, identifiable boundaries and so on), and instead hinting at rain and other bad weather, fluffiness, nostalgia, vagueness, impermanence . But of course that ephemerality is exactly constitutive of networked services - they fall over, they get closed down. 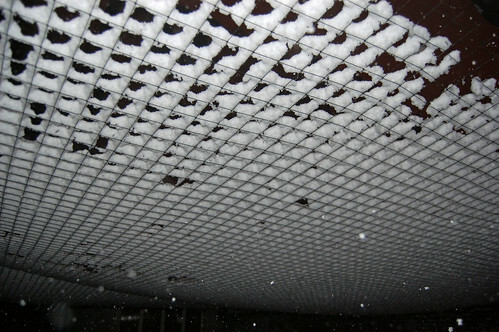 “Network weather”, the output of human behaviour on the network, a million (or an absence of) explicit yet invisible hands liking, plussing, following, reviewing - a “highly dynamic overlay of current conditions, soundings and action potentials” ; weather that breaks across the internet and on city streets. And the tracking systems, cameras, GPS and other sensors that sieve and measure human behaviour are the network weather station barometers and anemometers. There are micro-climates too. Website latency is a wind we lean into, making us click and tap harder. A thorny spreadsheet - the way its broken or circular formulae resist its users. The #NAME and #VALUE error messages in a cell that protrude from the grid of calculatory terrain, stopping the smooth cascade of numbers. I have over-written: I am squinting at network computing through lenses misted with vague weather metaphors. Nebulous, hazy, foggy metaphors. A cloud. 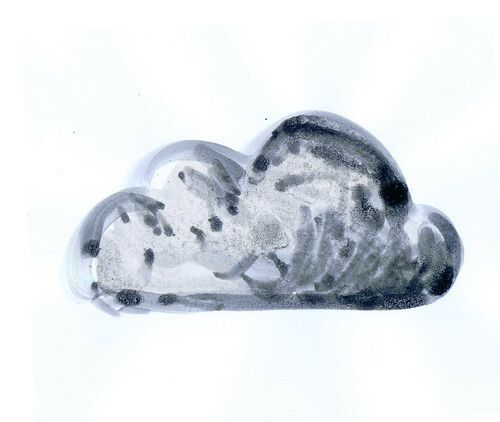 Squally postscript, June 2012: a problem with the air-cooling systems caused a cloud to form inside Facebook's Prineville server farm: '"It was raining in the datacenter," [...] when the air came back into the cold aisle for the servers it was so wet it condensed'. 2. Facebook’s Servers Stay Warm en Route to Arctic Circle: "A rapid rate of change (in temperature) can create condensation on the electronics, and that’s no good"
5. Virga: "an observable streak or shaft of precipitation that falls from cloud but evaporates or sublimes before reaching the ground"
8. Conversation with Eric Schmidt hosted by Danny Sullivan, August 9, 2006 via Who Coined The Phrase Cloud Computing? 10. 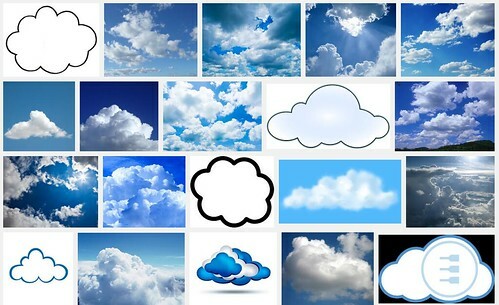 Criticism, eg: Cloud computing is a bad metaphor, Why Is The Cloud The Prevailing Metaphor For Pervasive Data Storage?, Cloudwashing Failed – Now We Need New Metaphors, The top 7 most overused cloud metaphors, sorted by weather pattern. On the other hand, this is good on the suppleness of the cloud metaphor. 12. Adam Greenfield, The City is Here [For You to Use]: Table of contents: “3. In recent years, a class of networked information-processing technologies has emerged which permits the built environment, and discrete objects in it, to sense, process, store, communicate, display and take immediate physical action upon information. The result is a highly dynamic overlay of current conditions, soundings and action potentials made explicit and superimposed on the city – something we might think of as network weather. 4. This weather is already exerting pressure on the delicate parameters that between them do so much to condition the life of our urbanized places. 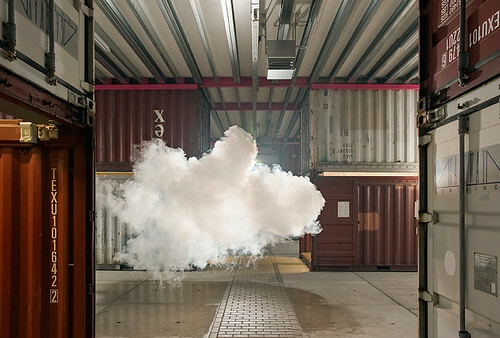 We can see both the urban milieu and the array of choices available to people moving through it beginning to evolve in response"
Images: the first cloud is Berndnaut Smilde's excellent Nimbus NP3, 2012. 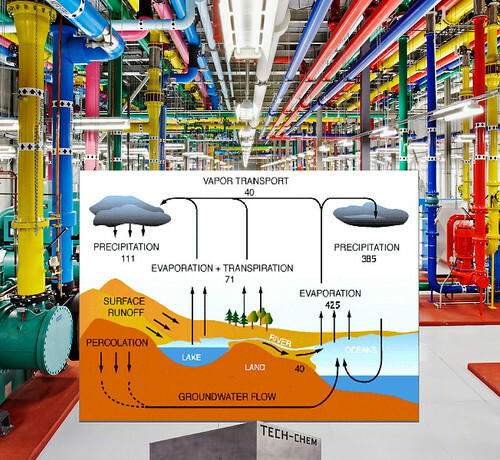 The fourth is a collage, a Google data centre with a water cycle diagram and Ruscha's Blue Collar Tech-Chem, 1992. Once upon a time there was a tool called Peep - the network auralizer. It enabled you to monitor your network status by turning it into sound. Server load was represented by the sound of rainfall, getting heavier as the load increased. Clever post. Since so many people think cloud computing actually has something to do with the clouds in the sky, why not look for similarities and comparisons? If nothing else, clearly we know that a lot of confusion still exists regarding cloud computing. When I worked in a large high-tech company in Paris, I was responsible for making sure that everyone in my corridor was out of the building in the event of a fire. The server room was part of my 'beat'. I was told in no uncertain terms that if I (or anybody else) was in the server room when the fire alarm went off, I was to get out as quickly as possible. One minute after the alarm activated, the door locked and all the oxygen in the room was evacuated in a couple of seconds, suffocating anyone inside. But the servers would be saved.